He is married to “D” and they have a daughter called Faye who recently got married. 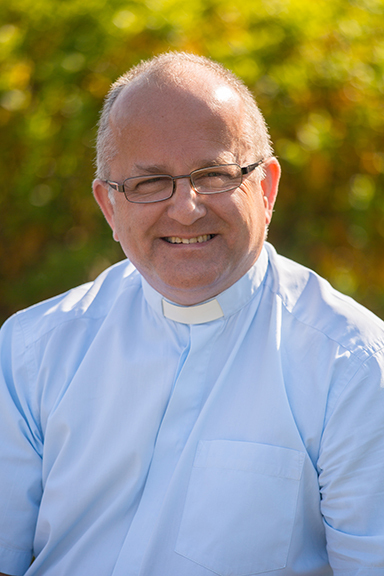 Alan has been a Methodist minister for 30 years and also has an MSc in Trauma and Disaster Management and is Ecumenical Canon of Honour for contribution to rural life. On top of that Alan has been heavily involved in founding and being part of many rural and agricultural charities. He continues to be Lincolnshire’s Agricultural Chaplain, a role he has held for the last 16 years. He is also Founder member of the Lincolnshire Rural Support Network –Charity and Co Ltd (LRSN), Co creator of the Lincolnshire Rural Housing Association; Initiator of the EPIC ( environment, people, innovation, choice) £7million, eco exhibition building, on the Lincolnshire Agricultural Showground; Initiator of the Rural Charities Dinners 2013/2015 which have raised £80000 to celebrate Lincolnshire Food and industry the latest highlighting Mental Health amongst young adults in the industry and dispelling stigma and myths. Named the Countryside Alliance “Rural Hero” for 2009, Alan is also a Fellow of the Royal Agricultural Societies of England, Board Member of the Education Committee for the Showground and has been Governors and Chairs of Governors for over 30 years at various primary schools, for the last 9 years at De Aston Academy. Alan’s core driver is his ever changing faith in spiritual exploration and mysteries of human well being-his passion is for people finding wholeness out of crisis- also finding hope in hopeless situations this seems to have been his choice and lot. He has also written papers on strange things like entrepreneurship, social capital, interviewing being stressful-food poverty and church growth. However sharing the lives of farmers and farm workers in the midst of church development fill his life and ministry with much challenge and more importantly joy! He also enjoys chilling out with my Border Terrier Jenny and his cat Itsy Bitsy and three chickens Molly, Polly and Mildred. Very recently he’s found an interest in gardening much to “D’s” amusement so has joined another Charity Board Green Synergy who do fantastic work in needy communities in the City by initiating food growing and gardening to enhance wellbeing! ?